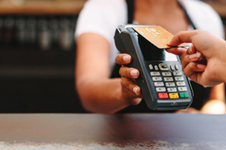 The U.S. Payments Forum developed this glossary to garner cross-industry understanding of mobile and contactless payments terms and encourage the standardization of terminology. The glossary is a collection of mobile and contactless payments terms and definitions collected from existing U.S. Payments Forum and Secure Technology Alliance mobile/contactless payments glossaries as well as previously undefined terms provided by ecosystem stakeholders. The Mobile and Contactless Payments Working Committee uses a broad definition of “mobile and contactless payments” to mean all non-contact payment approaches that facilitate convenient, fast and secure payment transactions for consumers. Activities will include all mobile payments approaches (e.g., bar code, QR code, Near Field Communication (NFC), Samsung Magnetic Secure Transmission (MST), EMV and Magnetic Stripe Data (MSD) contactless, Bluetooth, in-app, m-commerce browser transactions, other mobile technologies that can be used to enable payment), all form factors (e.g., dual-interface EMV chip cards, mobile devices, wearables and cards on file), and both card and non-card (e.g., faster payments) approaches. The glossary scope is bounded to mobile payments with POS interactions. (In-app or mobile-based browser payment are in scope if they are used at the POS.) E-Commerce transactions are out of scope for this document.